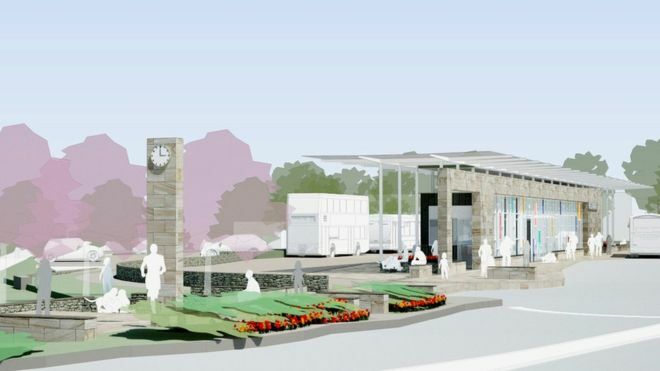 Northumberland County Council gave planning permission for the site at Loosing Hill which will replace the current town centre site. 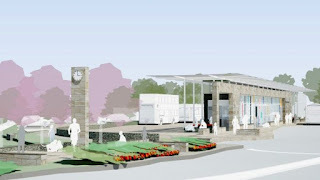 They say that the new bus station is due to open in summer 2016. Like everyone else I will follow developments, the proposed design and impact as and when updated by the Council and let constituents know. "I grew up in a working-class Labour household, had the traditional loud left leanings in my young manhood, but that Labour party is receding into the mists of history, as relevant to our own time as the Whigs or the Monster Raving Loony Party. There is no Old Labour or New Labour any more; there is only Dead Labour - a 20th-century party who find themselves as pertinent as banana rationing. " My local farmers and butchers consider that the appointment of Kerry McCarthy, the militant vegan who wants meat eaters treated like smokers as bizarre, outrageous and a slap in the face for local businesses, butchers and farmers. The Labour Party should reconsider. The comments of some of my farmers are unprintable. The Syria conflict, and its overspill through the ISIL campaign into Iran are the defining conflicts of our modern era. And my approach to the migrant crisis and the specific way in which local people can help here in Northumberland. But what is going to be our foreign policy, if any, on the Middle East / opposing ISIL? 4 years ago when the ‘Arab Spring’ was beginning there was great hope for democracy and the future for the Middle East. I have no doubt that at some stage parliament is going to have to debate and decide what it is going to do, in conjuction with international partners. The map of Syria is now a patchwork quilt of competing interests and organisations, one of which is ISIL. "We have tried inaction. We have tried inertia and passivity. It isn’t going well. In the absence of any better ideas, and in the hope of protecting the innocent civilians of Syria, we should at least now try the safe havens. You create an area of Syria that is safe from both sides of this horrific civil war: an enclave where kids can go to school, and where people can go about peaceful economic activity. You use overwhelming military force to protect the zone – funded and administered through the UN – and you ensure that it cannot be overflown by Assad or anyone else. The beauty of the proposal is that it gives displaced Syrians a place of refuge that is not some miserable foreign camp, but part of their own country; a place they can stay, and work, until peace eventually returns. Two such zones have been identified, one in the north, near the border with Turkey, and one in the south, nearer Jordan. The difficulties, needless to say, are immense. First, you have to create such zones – and that cannot be done by air power alone. You need to invest each area with ground troops, and then you need to hold that ground;"
However, there are two big buts to this approach - however laudable: Russia, and the need for boots on the ground, and great cost in men, money and a lot more. This weekend the Russian President Putin has decided to fortify the region and continue his support for Assad thereby making such a policy very difficult, and potentially a trigger for an even wider conflict. How we enforce a humanitarian corridor / safe haven will now be linked to a resolution and a deal on the partition of Syria I suspect. But in the short term we will need to make as decision as to whether we take the fight to Isis. This blog is a deliberate attempt to set out the options for my constituents and invite comment. What I am clear upon is that the do nothing option is no longer available to us, as events are coming our way whether we like it or not. Isis is attempting to take the UK on and the migrant crisis is partially as a result of a failure to provide a safe haven and resolution in Syria and beyond. - Should we lower the voting age to 16: the room was split almost 50/50 with a small majority in favour to my eye on a show of hands. - Has University or further education become too expensive? 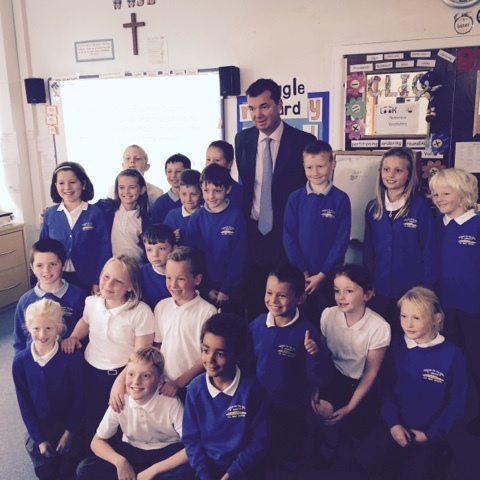 - Does the gap between the young and old prevent the young having a voice in Ponteland? Heddon First School is going from strength to strength - with numbers up, including many of the children from the new regiment 3RHA at Albemarle Barracks, and a really positive atmosphere around the school. On Wednesday I got the chance to be grilled by the children for nearly an hour, after having caught up with the headteacher, Mr Wheatley, and 1 of the Governors. Later I was also able to be part of the presentation of the school defibrillator, of which I will blog more in due course. - Does the Queen always agree with the government? This was a tough one both to explain and demonstrate to a First School. I hope I did her Majesty proud in my explanation of how she rubber stamps legislation, but cannot block it. - Do you get on with other MPs in parliament? Yes - some Labour ones are open and normal and I am close to, and I have genuine mates on the Conservative side. We are all taking a while to get to know the new SNP team, and there are not many Liberals left. This is, in my view, the way ahead for any school in the 21st Century. Parents and pupils like it and it is a great way to reach out to and be integrated into the community. On Monday I was able to spend some time at Bellingham Middle School, where I met with the School Council, who had just been elected literally that morning! They were bright, interested and full of questions on representation, by an MP, and a school council; we talked for nearly an hour and I listened to them debate how they would like to improve their school. On top of that I also got to listen to their award winning Year 8 Northumbrian Piper. Democracy Week provides an opportunity to focus on citizenship, representation, the British parliament and our values, what MPs do and so much more. Bellingham is a school I have visited many times and know well; it is a really good example of the 3 tier system working well in a rural context. 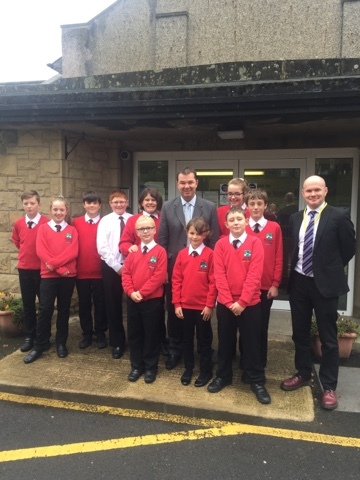 The complexities of providing good schooling in a significant rural area, are not easy, but Mr Jones and his team of teachers, the governors led by Trish Taylor, and a lot of very involved parents, do a great job. 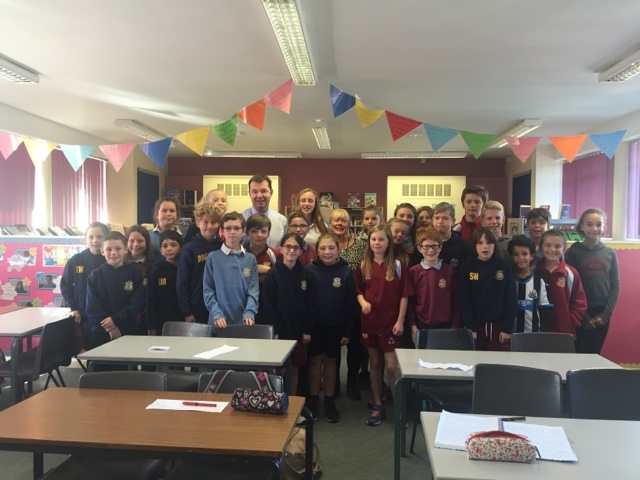 Good discussion on friday about representation, politics, climate change, why parties exist and the fact that "there is no I in Team" with Corbridge School Council, Councillor Jean Fearon and 5 members of the Peacekeepers Party who won their May election. Hope to welcome some of them to Westminster in the spring. On Wednesday I met the NFU and farmers in the region. We discussed everything from how we can help dairy farmers with exports and getting the public to buy British not imported lamb, and concerns about the RPA, increased efforts to combat red tape and a lot more. I came away considerably more informed, and promising to take their concerns to the Secretary of State and DEFRA. - Bovine TB caused by badgers: I am strongly in favour of DEFRAs action which copies the approach in Ireland and New Zealand - without a stop to the spread of bovine TB there will be no cattle industry in this country in 10 years. The evidence is overwhelming. All the farmers were strongly behind the action being taken. - Strong efforts locally and nationally to combat cheap foreign imports and support for the British Lamb business. Every constituent must think before they buy. - Better efforts to combat the massive red tape, some of it European, some of it UK gold plating, some of it simply British. Efforts are being made but it is clear more needs to be done. 1. The consumer is king - we are in charge of what we buy - and if we don't buy British and support our local farmers we, and more importantly, they will struggle. Use it or lose it. I am taking my election pledge to drive down local unemployment into my own hands next week by hosting my first ever jobs fair! Whether you are out of work, about to enter the labour market or looking to change jobs I urge you to come along. We have teamed up with 20 major local firms such as Egger, Waitrose, Punch Taverns and Homebase to offer a variety of different vacancies. Despite Tynedale now having one of the lowest unemployment rates at just 1.3%, I want to see unemployment fall further in our area. I am delighted that this year's event will be supported by almost 20 major firms with local job vacancies. For anyone looking for a job, or about to enter the labour market, or looking for a new opportunity, then this will hopefully be a great event. I would urge any interested to drop in. 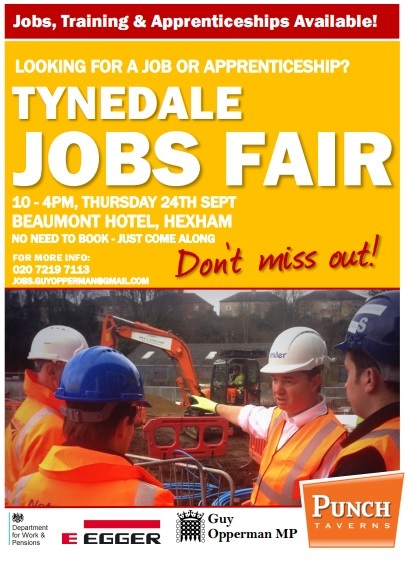 The event is being run in partnership with Hexham Job Centre Plus. Northumberland College will also be in attendance offering a range of skills training and apprenticeships. Unemployment has fallen by by more than 50% over the last parliament. However there are still challenges ahead. The number of claimants is 149 lower than in June 2014 and 14 lower than in May 2015. The event is free to attend and will take place between 10am and 4pm on Thursday, 24th September on a drop in basis. Strating today with a Democracy Week event at Heddon on the Wall School, then a visit to the Riding with the Disabled Charity at their base in Tranwell, and a visit to Whalton First School. In the afternoon I have a sit down with the NFU and and a visit to the Kirkley Hall business hub, plus further surgeries in Ponteland. In the evening I am taking part in the Democracy Question Time event in Ponteland - please come along. It will be a good debate. 18.35 - Topic 1 - Should we lower the voting age to 16? 18.55 - Topic 2 - Has University and Further Education become too expensive? 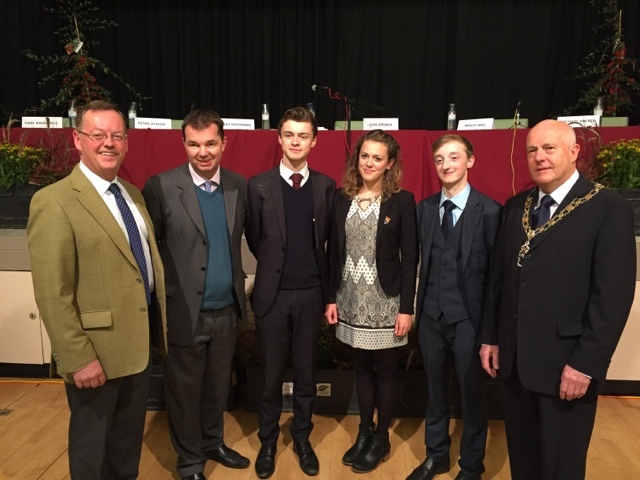 19.30 - Topic 3 – Does the gap between the young and old prevent the young having a voice in Ponteland? Schools in Poole are in the bottom five and schools in Dorset are in the bottom 11 when it comes to local education authorities and funding per pupil. I welcome this Government’s commitment to a fairer funding formula. Does the PM recognise the importance of fairer funding for our schools in Poole and Dorset, and the need for that to be implemented as quickly as possible to ensure a world-class education for our children, including respect for our traditions, and perhaps even learning the importance of our national anthem? My hon. Friend makes a very important point. There are very strong calls on all sides to ensure that we address fairness in funding. In the last Parliament we allocated £390 million extra for fairer funding, and his own authorities, Dorset and Poole, benefited from that, receiving £3.1 million and £3.2 million respectively. I can tell him that that money is included in the baseline for schools funding in 2016 and 2017. But I know that there is unfairness in the current system and I want us to do everything we can to make the funding formula fairer. 2015 must seem a long year to Syriza and the Greek government they are going to try and form after today's election. 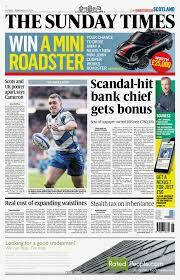 Their credibility is limited by a disastrous record in Government, a referendum against a bailout that they won, then a u turn to take even worse terms than the previous bailout offer, and now an economy that they have so mismanaged that it has dropped like a stone. Today's Guardian analysis does not make good reading. One thing is for sure. This Greek meltdown has a long way to run. They are the European equivalent of the 1930 mid west of America; there will be no recovery without an acceptance of the realities of economics, reforms to Neolithic public services, and a government that needs to face facts. I am not holding my breath on that issue. Macmillan Coffee Morning later this week - what are you going to do? Biggest Coffee Morning in the World! This Thursday and Friday 24 &25 September! Are you going to help, get involved, or host an event - or simply go along, meet your friends and neighbours and raise money for a great cause? They are taking place in multiple village halls and churches locally later this week. Northumberland County Council's local plan is now drawing to a close. It seems in Ponteland at least, our communities have not been listened to. Fundamentally I believe in the Greenbelt, and I will always be a big champion of the vital role the Greenbelt plays here in Ponteland and Darras Hall. I personally have always supported substantial development of housing at brown field sites like the old police headquarters site in Ponteland and the old hospital in Stannington. However, what I want to see is a plan which is community led, with organic growth in our individual communities. Residents are rightly concerned that Northumberland County Council's latest plan looks to be imposing a huge growth in housing numbers, with potential for over 2000 new homes, which would increase our local population by more than a third. Fundamentally, substantial areas of the Greenbelt are still being earmarked for housing. I have still yet to see any substantive evidence to support the County Council's case for these proposed Greenbelt deletions. One year on the SNP seek what they said they would not - a "Neverendum"
The SNP must stop issuing threats that a second independence referendum could be triggered by policy decisions made at Westminster. The SNP has hinted that disagreements with the UK Government over defence policy, economic approach and the Scotland Bill would be enough to force people to vote on independence again. Nicola Sturgeon even said the inability of new Labour leader Jeremy Corbyn to become Prime Minister would be a sufficient change in circumstances. “Nicola Sturgeon has to realise that last year the people of Scotland were promised that the referendum was a once-in-a-generation event. But just this week we’ve been told that triggers could include a defence policy she doesn’t like, an economic plan she’s opposed to, a devolution settlement she disagrees with, or even a new Labour leader she doesn’t think can win. The SNP in my view do not equal Scotland. They equal a single political party, with a significant public support. There are a wealth of views different to the SNP in Scotland, and the majority of Scots support the Union. "We said that we would introduce a Scotland Bill, and we introduced a Scotland Bill. We said that there would be unprecedented devolution on taxes, and there has been unprecedented devolution on taxes. We said that we would provide those welfare powers, and we have given those welfare powers. The question now for the SNP is this: when are you going to stop talking about processes and start telling us what taxes you are going to put up? What welfare changes are you going to make? Or, when it comes to talking about the issues, are you frit?" 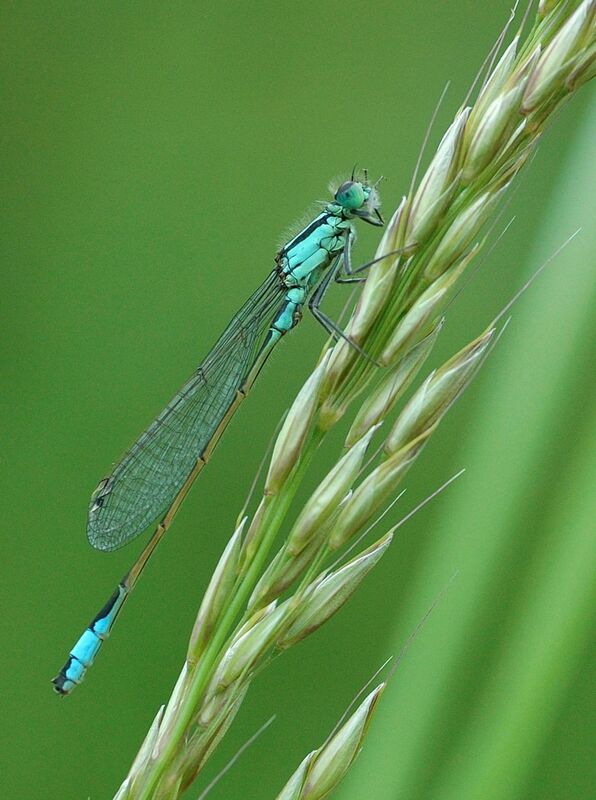 The photograph of a blue-tailed damselfly, by ten-year-old Max Eve from Hexham, won the under-12s prize in the prestigious annual competition. A £500,000 study is to be carried out to look into ways of dealing with notorious traffic blackspots in the North East as part of the Government’s Northern Powerhouse initiative. It will examine the case for turning the A66 or A69, or both roads, into dual carriageways to improve Northern east-west links. The move has been welcomed by business leaders who said if the report does lead to an upgrade of these roads it will provide a massive boost to the region. The A66 runs from Scotch Corner to Penrith and the A69 from Newcastle to Carlisle. Jonathan Walker, North East Chamber of Commerce head of policy and campaigns, said: “If the North East is to play a meaningful role in the Northern Powerhouse then improving our connectivity to the North West is vital. This announcement is therefore hugely welcome. “Dualling these routes would be a major boost to huge number of businesses who rely on moving goods across the Pennines as well as the region’s Port operations. There are few finer places to listen to amazing music than the wonderful Hexham Abbey. Several constituents have got in touch offering help, their homes and general support to the refugees. I set out in detail below the ways in which you can help. Since the Syrian crisis began in 2011, the UK has granted asylum or other forms of leave to almost 5,000 Syrian nationals and their dependants. We also operate three resettlement routes, which bring people who have fled their home country to the UK. One of these, the Gateway programme, has run for 10 years and has resettled almost 6,400 people in that time, aiming to resettle around 750 people a year. Britain can be proud that we’re one of the only major countries in the world to deliver our commitment to spend 0.7% of our GDP on aid. 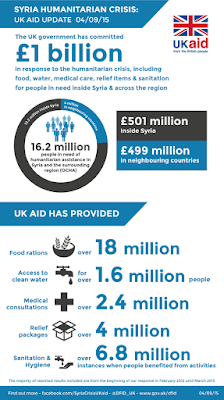 We’re already the second largest bilateral donor of aid in the world in response to the Syrian conflict. Our help has included providing over 18 million food rations and giving 1.6 million people access to clean water. On 7 September the Prime Minister announced an expansion of our existing Syrian Vulnerable Persons Relocation Scheme. Through this expansion, we expect to resettle 20,000 Syrians in need of protection during this Parliament. This is in addition to those we resettle under our Gateway and Mandate programmes, and the thousands of people who receive protection in the UK under normal asylum procedures. We are working closely with the UN High Commissioner for Refugees to identify some of the most vulnerable displaced Syrians and bring them to the UK. This scheme is helping those in the greatest need who cannot be supported effectively in the region by giving them protection and support in the UK. The criteria for acceptance under the scheme will be expanded to ensure more of those in need are resettled. We have received many generous offers of support from the general public, local authorities, businesses and other organisations. Below is some guidance on how you can help. Many organisations in the UK operate accommodation hosting projects to help vulnerable asylum seekers and refugees. NACCOM is an informal network of agencies providing accommodation to migrants. http://www.northumberland.gov.uk/ You will probably be redirected to their private sector housing team. You could also contact the Refugee Council. There are a number of charities and organisations across the UK that are raising awareness and donations to help refugees who have recently arrived and those who are already in the UK. Please contact these charities and organisations directly. We have several in Northumberland. You can also donate items to Save the Children charity shops. The items won’t go directly to child refugees but the money raised helps us to support them. There are a number of charities and organisations across the UK that are raising awareness and donations to help refugees who have recently arrived and those who are already in the UK. Please contact these charities and organisations directly. You can support Save the Children’s Child Refugee Crisis Appeal. Their teams are working across Europe and in the countries refugees are fleeing from to provide aid and support. You can support UNHCR’s emergency appeal for the refugee crisis in Europe. UNHCR is on the ground providing life-saving support to refugees arriving in Europe. You can apply to foster a child through your council if you live in England and Wales. If you’re interested in fostering in general, contact your local authority to find out more about the process. Save the Children may have training opportunities that you’d be interested in. You can also contact your local authority for information and support. Please contact your regional strategic migration partnership via the Local Government Association’s website. Email the Local Government Association, stating which area of the UK you are in. You can call the Red Cross’s dedicated phone line on 0800 107 8727 from 9am on Saturday 12 September for more information. PMQs at noon on Wednesday will dominate I suspect given the events on the weekend. I will be on the bench until past 11pm tonight in the commons as I have the graveyard slot of 9-11 on a Monday night. We have multiple debates this week, on everything from adoption and education law changes to trade unions; plus I have several key meetings with local stakeholders and visiting constituents. Tuesday I am hoping to go to a briefing with the foreign office officials on Iran and the consequences of the recent nuclear deal. The house is not sitting Friday so I will be back in Tynedale either Friday or Saturday latest. I was delighted to read the notes to the recent NCC Committee meeting - see below - which details their financial support for the Campaign to Open Gilsland Station. The reopening of Gilsland Station also featured when we met with Rory Stewart, MP, my friend, Cumbrian neighbour and the Rural Economy Minister last month. This project would clearly transform the tourist, travel, business and other prospects of the very western area of the County. There is a case to be made not least because there have been persistent problems with buses in the area, and the tourism busineses which I know well would be very pleased. Anyone who walks the Hadrians Wall or Pennine Way would also be delighted. The reality is that this will have a significant wider economic impact. I am meeting Network Rail soon and will continue to do everything I can to push the project forward. "The real split now isn’t between left and right but between centralisers and localists, between those who believe you can run a modern post-industrial economy from Whitehall and those who recognise there is an urgent need to devolve power. We believe that the centralisers have had their day. The North-South gap is a testament to their failure and the need for a new way....The Chancellor’s vision of a “Northern Powerhouse” – a network of growth stretching across the north of England – is an idea whose time has come." Previous decades of regional policy have failed to close the North-South gap in economic productivity and prosperity. We’ve decided to do something about that, and are moving beyond old political rivalries. So a Labour Mayor of Liverpool and a Conservative Secretary of State might not be likely allies – but we both believe in the same thing: a Northern Powerhouse. The real split now isn’t between left and right but between centralisers and localists, between those who believe you can run a modern post-industrial economy from Whitehall and those who recognise there is an urgent need to devolve power. We believe that the centralisers have had their day. The North-South gap is a testament to their failure and the need for a new way. There is now a growing consensus around a new model of decentralised decision-making that all parties should support. At a local level, this is exactly what is happening. The progress we’ve made so far in transferring budgetary control and political power is a genuine joint effort; ministers and city leaders from different parties have worked together to make it happen. The Chancellor’s vision of a “Northern Powerhouse” – a network of growth stretching across the north of England – is an idea whose time has come. It has a combined population of 15 million. By investing in the right connections between cities, we can make the most of the Powerhouse’s potential. This isn’t a threat to London. The Northern Powerhouse will complement the Greater London Powerhouse, helping rebalance the country, strengthen our economic resilience, and ease pressures on land supply, housing and infrastructure in the South East. A balanced economy brings the country together in One Nation, with wealth and opportunity spread more widely than they have been for decades. Our cities will become places where social problems are solved, not created. All this ambition needs good leadership, and that’s why mayors should take over powers currently held by ministers. In the past, the fragmentation of local government has frustrated attempts to take a strategic view of local economic needs. By default, big picture decisions were made by distant bureaucracies without the benefit of local knowledge. Dynamic local leadership we can overcome the old divisions, allowing transport, regeneration, planning and other crucial economic functions to be co-ordinated across and between cities. It’s also vital that each city – and the Powerhouse as a whole – has the best possible representation on the national and international stage. As Britain recovers from the deepest recession since the war – and we look across a landscape of uncertainty in the Eurozone and massive structural change beyond it – we must draw upon the full strength of every part of this country – from North to South. Corbyn will win today - what can we expect? Fragmentation of the traditional Labour Party will follow - and a power struggle between the centre left and the far far left that Corbyn embodies. Several of Corbyn’s proposals have been tried over the decades and left a trail of political destruction. Ask low-paid workers in Stockholm or Manhattan if his proposed rent controls are a good idea. Ask Zimbabweans how “People’s Quantitative Easing” worked out for them. Under the present Chancellor two things have happened on tax. The 45 pence rate is higher than at any stage [bar the last 14 days] of the Blair Brown governments 1997-2010. The present Chancellor has also made sure that the best-paid have been shouldering a greater share of the burden than at any time in history. Why? Because he cut the top rate of tax from 50%. Lower tax rates lead to higher tax revenues; this is what John F Kennedy referred to as the “paradoxical truth” of taxation. But it’s one that Corbyn is ideologically unable to grasp. A student of tax could also look at France who tried to raise taxes to 75% with disastrous results for the tax take which fell dramatically, as did job creation, entrepreneurship etc. - how many ballots have not been filled in and returned. Apparently the numbers not returned is still huge. - how many people have Yvette as their second choice, meaning they believe that Cooper wins if Corbyn does not get a majority straight up. - Burnham is now seen by many as a busted flush, and the king of flip flops, having started this process as the strong favourite. - Kendall is seen as a poor relation to stronger Blairite figures like Chuka, Hunt and Jarvis, and just lacks cut through, although all admire her tenacity. Saddened by today's result, but also angry that people are being denied choice and the freedom to die in a manner of their choosing. Parliament has spoken but this campaign of Dignity in Dying continues. The final result was 118 in favour of changing the law, 330 against, and several hundred absentees or positive abstentions. The quality of the speeches were good and a tricky debate was well done. 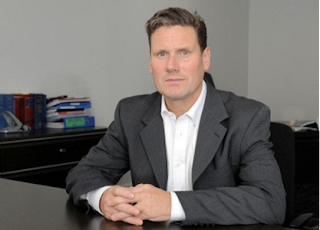 I was impressed by the speeches of Jim Fitzpatrick, the veteran Labour MP, the former Liberal Care Minister Norman Lamb, MP, new member Lucy Allen and the former DPP Kier Starmer MP. The vast majority of my constituents, along with a surprising number of my churchgoers wanted this change. Like Archbishop George Carey they can be both very Christian and want control of their final days. This is the long version of my Sunday Times article from 2 weeks ago on assisted dying,which explains why I will be supporting the bill. "I am in favour of changing the law on assisted dying, and will be supporting the Private Members Bill that is being brought before Parliament on Friday September 11th. This is a free vote matter, but a very contentious issue of conscience which will divide the Houses of Parliament. However, I am strongly in favour of change that provides safe evolution of the law, with stringent safeguards. The tragedy is that we now have one law for the rich, and one for the poor. It cannot be right that those who need our support most, at the end of their lives, live in fear and uncertainty of how or where their last moments will be, and whether their loved ones will face prosecution after they are gone. It seems to me manifestly wrong that individual members of the public do not have the choice, and are prevented by law from doing something in this country that they are able to go and do legally at Dignitas in Switzerland. How can it be fair that wealth determines dignity in death? Where those rich enough are afforded a death in a manner they choose and yet those who are too poor to escape are locked in the system and have no rights over the ending of their own life? My own personal views changed in 2011. I had been an MP for less than a year when on the 26th April 2011 I collapsed in the Central Lobby of the House of Commons. I was rushed to St Thomas’s NHS hospital, where after a midnight scan, a young A and E doctor advised me that I had a tumour the size of a child's fist pressing down on to the left side of my brain. I was told that I would need a craniotomy to remove the tumour. The implications of such surgery are vast: there is a genuine risk of death whilst under the knife, or alternatively loss of speech or sight and partial paralysis. The implications, however, of not operating on the tumour would ultimately have been terminal. It was 2 weeks before I had my operation. I survived with a substantial scar and with no physical deficit. My tumour was not malignant, and I feel a great deal healthier, better and stronger now the tumour has been removed. I was one of the lucky ones. During my time in hospital, before and after the operation, many of those around me who were also suffering from different types of brain tumours were not so lucky. This time provided the opportunity to contemplate my situation, and the law that existed. Subsequently, back in parliament and in my Hexham constituency I have met with medics, lawyers, hospices, carers, religious representatives from a multitude of faiths, and groups on both sides of the argument. But my view is now clear: the law on assisted dying needs to change. The heart of this debate surely centres on one question: to whom does a person’s life belong? I suggest that a person’s life belongs to the individual themselves. It should be for those who are not as lucky as I was, to make their choices about how they live, and if required, how they end their own lives. This is a transfer of power from the state to the individual, who is then free to choose, subject to very strict safeguards. Patients have the right to life: but they also have the right to personal autonomy and dignity. When a patient’s condition has no cure and death is a certainty there must surely become a point where the individual has a right to end their own suffering? In these cases, this Bill provides a clear way forward. It only applies to a person who has a reasonable expectation of death, by reason of a terminal illness, within six months; this prognosis must be made by two registered medical practitioners. The Bill also provides safeguards by requiring patients themselves to self-administer the medication, and only after a High Court Judge has agreed that the prerequisites of the law have been properly complied with. One of the central arguments against assisted dying is that it would lead to a slippery slope: this Bill does not threaten the lives of vulnerable people. It will not lead to more deaths, but to less suffering. Safeguards are essential and not a single Member of Parliament disagrees with that. To those that argue safeguards do not work, or that it is not possible, should look to Oregon’s Death with Dignity Act. In place for 17 years, it enables someone who is terminally ill to request the option of an assisted death. There has been no evidence of abuse since its inception. Further to that, around 40% of dying people who meet the strict safeguards to obtain life-ending medication never use it, simply taking comfort from having the option. This Bill creates a more defined legal pathway which gives choice and certainty back to those who want to die on their terms, at the time and manner of their choosing. The Bill does not lead us to euthanasia - no MP wants that. This Bill, above all, provides comfort at a time of great personal sadness and loss. Professor Stephen Hawking, a supporter of assisted dying, has stated that ‘to keep someone alive against their wishes is the ultimate indignity’. This Bill is a free vote and an opportunity to change that. I will be trying to change the law on September 11th. This figure quoted by IPSA in today's release is entirely incorrect and they have now accepted this. The matter refers to a disputed payment which I raised with them in January seeking a resolution. On 9th March I made clear this issue needed to be resolved and requested a meeting with the person ultimately responsible for the incorrect figures. I was informed on 12th March by IPSA via email that the matter was closed and received an apology for their incorrect figures. I am therefore extremely disappointed to have been incorrectly named on this list. IPSA have now accepted that mistakes were made and the matter has now been resolved. IPSA will be updating their website to this effect later today. Late last night I received an apology from the Chief Executive of IPSA for the mistakes that IPSA had made. 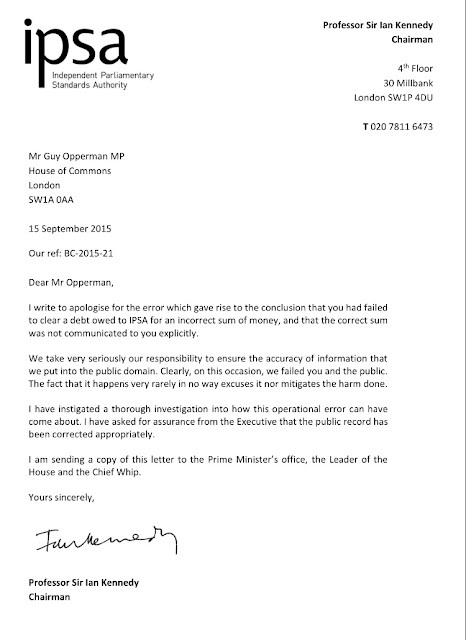 "I accept that, in all your dealings with IPSA, you acted in good faith, believing that sums owing had been repaid. You now no longer have any sums outstanding from 2014-15." Interesting article this week from one of the top journals - see below - on economic prospects as the markets experienced an August wobble. The doomsayers between 2010-2015 definitely got it wrong. I have listened to some in the house of commons argue that trying to live within your means, create jobs, support small businesses and tackle our debts and overspending is the wrong thing to do [what others have called austerity]. Do you Remember my late parliamentary opponent Ed Balls arguing it was all "too far too fast"? Well my nemesis got it spectacularly wrong, and then lost his job. I remain convinced that the slow but steady path to balancing the books and ensuring that we do not spend what we do not have is the right path. There will be further reductions in public spending to come and I want my generation to deal with these problems, not pass them on to our children. Growth has been strong, and far more jobs were created in 2010-2015 than the chancellor could possibly have hoped for and the public finances have improved significantly, thanks to spending cuts combined with an expansion in the tax base. When we compare ourselves with every other country in Europe we are clearly heading in the right direction. And yet? Should we be concerned that China is having a currency and growth crisis, Greece has another election, conflicts rage in the Middle East and the oil exploration in the North Sea is faltering due to price competition? These are a concern but the economy is growing. Wages are now growing quickly; inflation is at zero, and the living standards of the British people could rise by more in 2015 than in any year since before the banking crash. I do not say governments get everything right but I am certain that we are heading on the right track. Mr Speaker, today Her Majesty the Queen becomes our country’s longest reigning Monarch. It is of course typical of her selfless sense of service that she would have us treat this day just like any other. But Mr Speaker, while I rarely advocate disobeying Her Majesty – least of all in her own Parliament, I do think it is right that today we should stop and take a moment as a nation to mark this historic milestone and to thank Her Majesty for the extraordinary service that she has given to our country over more than six decades. Mr Speaker, Her Majesty the Queen inspires us all with her incredible service, her dignified leadership, and the extraordinary grace with which she carries out her duties and I would like to say a word about each. service that Her Majesty the Queen has given to this country. Mr Speaker, the reign of Queen Elizabeth II has been a golden thread running through three post-war generations, and she has presided over more than two thirds of our history as a full democracy with everyone being able to vote. When I was born, Her Majesty had already been reigning for fourteen years. When the Father of this House, our longest-serving Member was first elected to this Chamber, Her Majesty had already been Queen for eighteen years. In 63 years and 216 days she has worked with 12 Prime Ministers, 6 Archbishops of Canterbury and 9 Cabinet Secretaries. She has answered 3.5 million pieces of correspondence, sent over 100,000 telegrams to Centenarians across the Commonwealth and met more people than any other Monarch in history. And yet Mr Speaker, whether it is something we suspect she enjoys, such as the Highland Games, or something we suspect she might be less keen on, such as spending New Year’s Eve in the Millennium Dome, she never, ever falters. Her selfless sense of service and duty have earned her unparalleled respect and admiration, not only in Britain, but all around the world. Her Majesty’s contribution to shaping the future of the Commonwealth has been particularly extraordinary. Some doubted whether this organisation would succeed, but she has assiduously supported it, growing it from just 7 members in 1952 to 53 today. She has played a leading role in building a unique family of nations that spans every continent, all the main religions and nearly a third of the world’s population.As a diplomat and an ambassador for Britain, it is hard to overstate what she has done for our country; representing us on 265 official visits to 116 different countries, including making 22 visits to Canada alone. And from her post-Apartheid visit to South Africa, to her State visit to Ireland, we have seen time and again how the presence and judicious words of Her Majesty can build partnership and progress like no other. She is held in deep affection by leaders around the world, even ardent Republicans fall under her spell. Mr Speaker, as we commemorate this historic milestone, I know that Her Majesty would want us to pay a particular tribute to the service and support of her whole family, not least the Duke of Edinburgh who has stood by her side every day of her reign. Mr Speaker, throughout her long service, the Queen has carried herself with an extraordinary grace and presence. She has led a gentle evolution of our monarchy, bringing it closer to the people while maintaining its dignity. She pioneered the first televised Christmas Day Message, over thirty years before we allowed cameras into this House. She opened up the Royal Collection and Palaces.And she invented the Royal Walkabout, so that she could meet more people on her visits. People who meet the Queen often talk about it for the rest of their lives. And I am sure that I speak for all of my eleven predecessors when I say that that going to see the Queen to form a government and then meeting her once a week is one of the most enjoyable, inspiring and humbling honours of this office. Mr Speaker, when I joined Her Majesty for her State visit to Germany earlier this year I learnt that there are many female sovereigns that the Germans call “die Königin”, but there is only one they call “die Queen”. In fact the German dictionary – the Duden - provides as its example sentence “the Queen is coming on a State Visit to Berlin” and then offers one key grammatical prescript: There is no plural. Mr Speaker, the Queen is our Queen. And we could not be more proud of her. She has served this country with unerring grace, dignity and decency, and long may she continue to do so. Cycling tour of Britain in Tynedale on Thursday -what are you doing to celebrate? Excitement is building with the arrival tomorrow of the worlds top cyclists coming through Prudhoe, Hexham, Haydon Bridge, and going along the Military Road under the lip of Hadrian's Wall, before heading off into the Cumbrian hills. What are you going to do to celebrate and welcome the riders to your village or your community? I know Haydon Bridge is doing a lot and there will be many more keen to welcome the top riders. As a keen cyclist I am gutted I cannot make it but Commons duties keep me in London. I shall be glued to the TV highlights, however. recently after short notice. My colleague in North Northumberland, where the surgery is based, Anne Marie Trevellyan MP, has been working hard on the issue and has helpfully done a Q&A update, which I set out below: like Anne Marie I am particularly helping any residents in my patch, around Otterburn, and in the upland areas. As always, if you need help get in touch. "Following further extensive discussions after my meeting with residents in Harbottle last week, I have now got some clarity on the main issues of concern raised with me by many. Q1. Will registering with another practice now give NHS England an excuse to say that there is no longer a need for the Harbottle surgery? 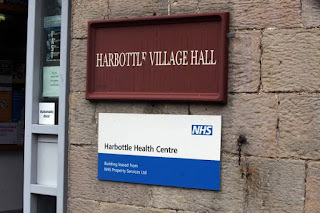 NHS England have been very clear to me that they are looking at how services might be provided from the Harbottle site in the medium term. They really are working to secure some alternative provision following Dr Miah handing back her contract. It is of the utmost importance that patients register with a practice and this will NOT affect a continued commitment to try and secure services at Harbottle. Q2. I asked for confirmation that NHS England is going to be looking at every potential method of providing some medical cover and dispensing of medication from the Harbottle surgery in the longterm, once the present contract with Dr Miah has ended. No guarantees need be given, everyone understands that this may be difficult and take some time and negotiations, but NHS England is committed to meeting its obligations to support our most rural catchment. I have told NHS England that they have my total support to lobby the Secretary of State on finding innovative ways to fund medical cover & a dispensing framework as needed, so that those who live in this remote valley (especially outside all catchments but Harbottle) can continue to maintain our national park and farm the land which produces so much of the nation’s meat. I am reassured that in relation to dispensing services this is part of discussions with potential providers and NHS England are also looking at community pharmacy provision and the scope for further collection and delivery services. Q3. There are a few out-of-catchment families beyond Alwinton who are not within the Rothbury or Bellingham catchment map areas, which means that when they phone to register they are told they cannot do so. What is NHS England doing about this? As any GP has a duty to be able to provide home visits if these are out of catchment then they cannot be expected to do so without appropriate backing. I have spoken with Dr Hunt at Rothbury who says he will need extra support in the short term until new provision out of Harbottle is achieved. NHS England confirm to me that they have now identified the specific patients concerned. There are a small number of these patients and they are sharing the information with the Rothbury practice which is most closely aligned to them. They have confirmed to me that they will write to the affected patients to advise them of the arrangements put in place in the short term through the Rothbury practice. Please tell me if you have not had contact from NHS England as an out-of-catchment family. Q4. Residents are mystified by the decision by NHS England to allow Dr Miah to walk away from her GP contract without having to work out her notice period. Has NHS England used all its powers to maintain provision over that workout period by providing support to find locum cover where she failed to do so? The standard notice period for a PMS contract is six months, during which the provider is required to ensure the provision of the full range of services to patients. NHS England tell me that they would not agree a notice period of any less than this unless there were robust arrangements in place for the continuation of primary care services. Dr Miah failed to do this and has effectively defaulted on her contract. In these exceptional circumstances NHS England’s responsibility is to ensure patients have continued access to services; in this instance by asking patients to register with another practice to ensure continuity of care whilst NHS England seek alternative provision at Harbottle. I am writing to the Secretary of State to ask for his view on whether Dr Miah's default of her contract has been managed and dealt with properly, as I am still unconvinced on this area of the process. Q5. Isn't it the case that if GP contracts become a danger to patient safety, NHS England can put the contract into “special measures” and access extra funding to protect patient safety and give time to find an orderly solution to the crisis situation? The “special measures” is an action that can be taken by the Care Quality Commission (CQC) but is dependent on the provider being able to meet any improvements required. The situation we are faced with in Harbottle is different, relating specifically to the provision of services rather than CQC assessment. Current GP availability makes it extremely difficult to secure locum cover – this is a problem in many areas of the country and is exacerbated in remote and rural areas. This is one of the principal reasons why NHS England are seeking to secure the long-term provision of services through another GP contract, which will provide greater continuity of care." The first week back of the autumn term is genuinely packed. I will blog more on specific aspects but we start this afternoon with a statement by the PM, and the remaining stages of the European Referendum Bill, which will be debated until 10; the rest of the week sees the implementation of the various budget measures in the Finance Bill and the start of the committee on the welfare reform bill. Wednesday sees PMQs and a SNP opposition day debate, whilst Thursday I have a morning interview on itv tyne tees, church commissioners questions to help with and a plethora of further events and meetings in the commons. I am gutted that I am not able to make the tour of Britain cycle race in Northumberland. Friday I will be in the commons for the assisted dying debate as part of the consideration of the private members bills. I shall be voting in favour of the assisted dying bill, albeit it is a free vote. I have also got a large number of meetings with constituents, and am meeting several North East organisations who are attending the commons to meet with me. It is a very busy week. Opperman is not a traditional Northumberland name. I write as someone whose family were migrants over a hundred years ago. Recently, we have all been all to aware of the plight of refugees fleeing the civil war in Syria. The news and images are heartrending. In the last year we received 25,000 applications for asylum in the UK, 2,200 of these were from Syria. From the beginning of the Syrian crisis in 2011 to the second quarter of 2015, the UK has granted asylum to just under 5,000 Syrians. 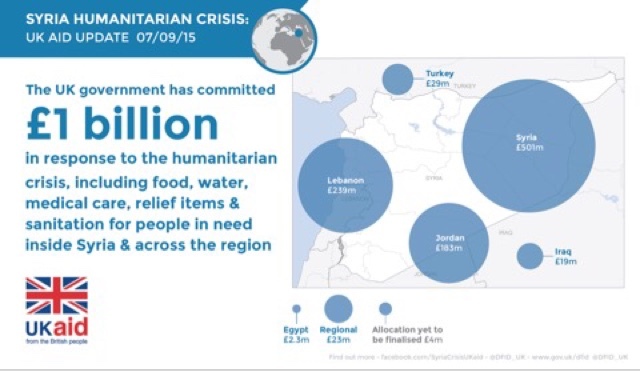 I am very well aware of the humanitarian crisis that is ongoing in both Syria itself and its neighbouring countries. I have travelled through the region over the last 7 years, and last year spent some time helping at the Nizip 2 refugee camp on the Turkey-Syria border, where I met and spoke to refugees themselves as well as representatives of Unicef, the Foreign & Commonwealth Office and Syrian opposition leaders. 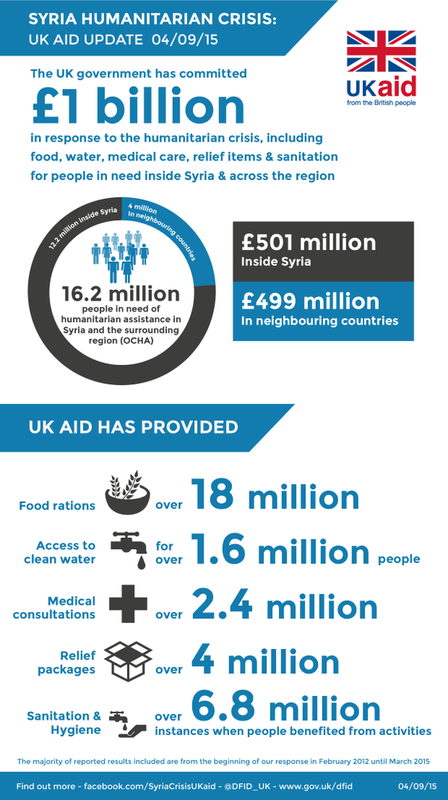 Our record on aid to the region is second to none, and has been strong under successive governments. The UK Government believes that providing aid to the refugees in the region is vital and is spending £900m split between Syria, Lebanon and Jordan, which is providing, in particular, food rations and access to clean water; the UK is the second-largest bilateral donor to the refugee crisis facing the region. Syrians have been claiming asylum in the UK, and over 85% of applications are granted; almost 5,000 Syrians have been granted asylum in the UK since the start of the humanitarian crisis. 85% of initial asylum decisions for Syrian refugees gave permission to stay in the UK. There is also the vulnerable persons programme for severely injured Syrians who require complex and specialist assistance, that is impossible to provide locally. However, there are not simple solutions to this crisis. The real difficult issue for all of us to grapple with is our approach to UK/UN involvement in the prevention of the decline of nations and the rise of wider terrorism such as ISIS. Clearly the interventions in Iraq and Afghanistan have left an impact, and have strongly reduced the desire of the general public to put our soldiers and airmen in harms way in foreign lands; but we in the UK and the wider UN countries will need to address this at some stage soon. Should we in the west be doing more to prevent the utter destruction of Syria? How we approach these conflicts is going to be have to be reviewed, at some stage in the next 12 months. More particularly, we are going to have to acknowledge that in order to keep the peace in foreign lands and allow Syrians for example, to live in peace in Syria, what are we as a nation prepared to do? Research by the Dignity in Dying campaign group shows 166 Britons travelled to Dignitas to end their lives in the six years to last December. Under current guidelines, doctors are not allowed to help, which means a chronically ill person may have to ask a family member or friend to help them. Parliament is now set to vote on proposals, led by Labour MP Rob Marris, that would give terminally ill people the right to end their lives. The Bill is expected to be debated on September 11 and it will give MPs the first vote on the issue since 1997. The Feathers Inn Hedley on the Hill Northumberland are celebrating after the announcement that they have been named County Dining Pub of the Year in The Good Pub Guide 2016 edition. Every year the editors of the Good Pub Guide take the opportunity to rate the very finest Dining Pubs across Great Britain. This Feathers Inn team have won this prestigious award eight times and they are extremely proud. The team, led by husband and wife Rhian and Helen Cradock, have thanked their staff whole heartedly for the effort they put in. Rhian Cradock " They are so incredible and so passionate about quality it is a pleasure to work with them. The locals in the village are also a great support and we thank them very much for their dedication too. We are a food led business but our community is at the heart of what we do". If you have not been I strongly recommend the pub, it's food and its fiendishly difficult quiz - which I have failed to win on several occasions! The charity Walking with the Wounded raises awareness and funds to retrain and reskill men and women wounded during Military service. This year they are having a Walk of Britain expedition which will start in Scotland on 22nd August and finish at Buckingham Palace on 1st November. A Team of four British and two United States wounded war veterans will walk 1000 miles across Britain and will climb 24 peaks (including Ben Nevis, Scafell and Snowdon), burn 1,440,000 calories between them, use 10 litres of sun-cream (they hope!) and pass through 150 villages, towns and cities. On Friday 4th September the Team will reach Hexham at approximately 4.30pm and the Mayor of Hexham, Councillor Trevor Cessford, will be joining the Team as it arrives and crosses the River Tyne. Councillor Cessford will be walking with the Team through Hexham to the stage finish next to Benson's Monument at Beaumont Street. Please look out for the Team as they walk through town and give them a cheer or why not be at the stage finish and give the Team a really warm welcome to Hexham. See www.walkingwiththewounded.org.uk/walkofbritain2015/ for further information. - plus foreign imports being bought by the likes of Tesco, which further squeezes the domestic suppliers. 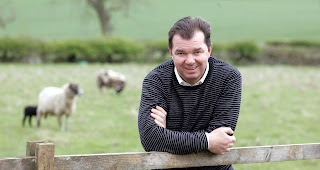 Lamb is as a result £20 per head cheaper this year, which is good news for the customer, but tough for farmers. I am a supporter of our local farmers so I will be buying British lamb from a local butcher, and would urge you to do the same. When you do so you buy the best from a locally sourced and expertly looked after herd. As always with everything from Post Offices to local bookshops, butchers and even farmers ... use it or lose it! They derserve and need our support and each of us genuinely can make a difference with our purchases. I have looked at Christine Hardmans background and experience and she will be a great asset to the region. Women are playing a wonderful role in the faith of the region - with a female Canon of Hexham Abbey only recently having taken office. I have long supported and voted in the Commons for Women Bishops and I am certain that Christine will do a great job. The endorsement from Riding Mill's acting Bishop the Right Reverend Frank White is clear:“This is such a good moment to welcome Christine Hardman to be our new Bishop and I look forward with eager anticipation to serving alongside her. Her wide interests and experience and her desire to encounter and learn from the spirituality of this region offer us all real opportunities for growth."